The teeth play a vital role in oral functions such as chewing, eating, and speaking. While the teeth are durable, there are many factors that can compromise the strength and structure of the teeth by damaging the tooth’s protective outer layer (the enamel). If the enamel is damaged, it can lead to a number of oral health problems and compromise of oral function. Excessive teeth grinding is one of the most common causes of tooth enamel damage, making the patient more vulnerable to a range of dental problems, and leading to the need for restorative dentistry treatments to restore tooth structure and improve oral health. Cosmetic dentist Jean Barthman teaches Redwood City patients about potential teeth grinding dangers and treats the condition to protect the structure of the teeth. As the teeth become damaged, oral function may also be compromised, making chewing and eating more difficult and painful for patients. Dr. Barthman takes a two-part approach to treating teeth grinding. First, she will address any damage that the teeth have suffered as a result of teeth grinding. When the effects of teeth grinding are caught early on, restoration may be achieved with a simple dental filling or inlay or onlay. More severe damage may require more advanced restorative treatment, such as a dental crown. When the teeth have been restored, Dr. Barthman will focus on helping patients protect the health and strength of the teeth by preventing teeth grinding. Because teeth grinding is often a release of stress, relaxation techniques may help to alleviate teeth grinding. However, since the majority of teeth grinding takes place at night, it is important to protect the teeth with the use of custom-fit dental mouth guard. This appliance fits comfortably over the teeth and prevents them from grinding against one another. Dr. Jean Barthman provides her patients with dental care of the highest quality. 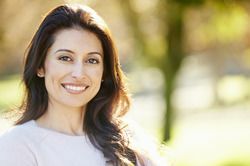 She offers a full range of cosmetic and restorative dental treatments to ensure that each of her patients benefits from a smile that is strong, healthy, and beautiful. If you are looking to improve the health or aesthetics of your smile, schedule an appointment with Dr. Barthman at your earliest convenience. We look forward to hearing from you!